Double Slipper 6 ft. Cast Iron Clawfoot Bathtub in White and Faucet Combo in Satin Nickel The classic Double Slipper cast iron claw foot tub adds a vintage touch to your home bathroom. With timeless styling and ornate tub feet, this tub will provide warmth and durability because of its cast iron construction. Combo set includes tub, faucet, drain and supply lines. Double Slipper 6 ft. 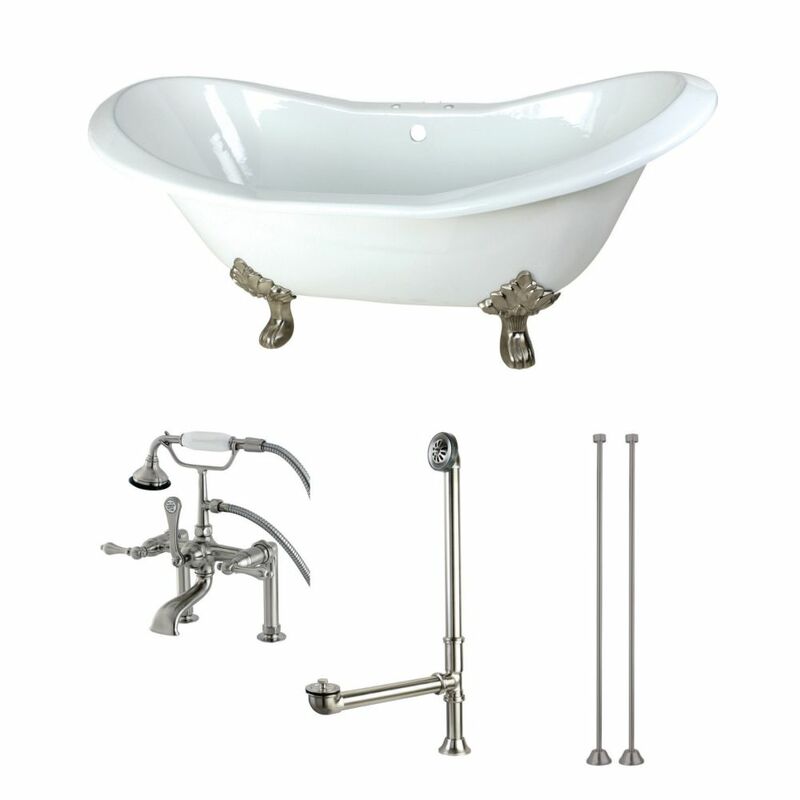 Cast Iron Clawfoot Bathtub in White and Faucet Combo in Satin Nickel is rated 3.0 out of 5 by 1. Rated 3 out of 5 by Patty from Read the specs yet the tub width seems small.Paid extra... Read the specs yet the tub width seems small.Paid extra to bring it to the MBR but there was only one driver. Hired a plumber the delivery day but because we couldn’t get it to the MBR we still paid had to pay the plumber $180.00 for his time and now have to pay for help to move and plumber again.